I've been refreshing my kraut stocks recently. 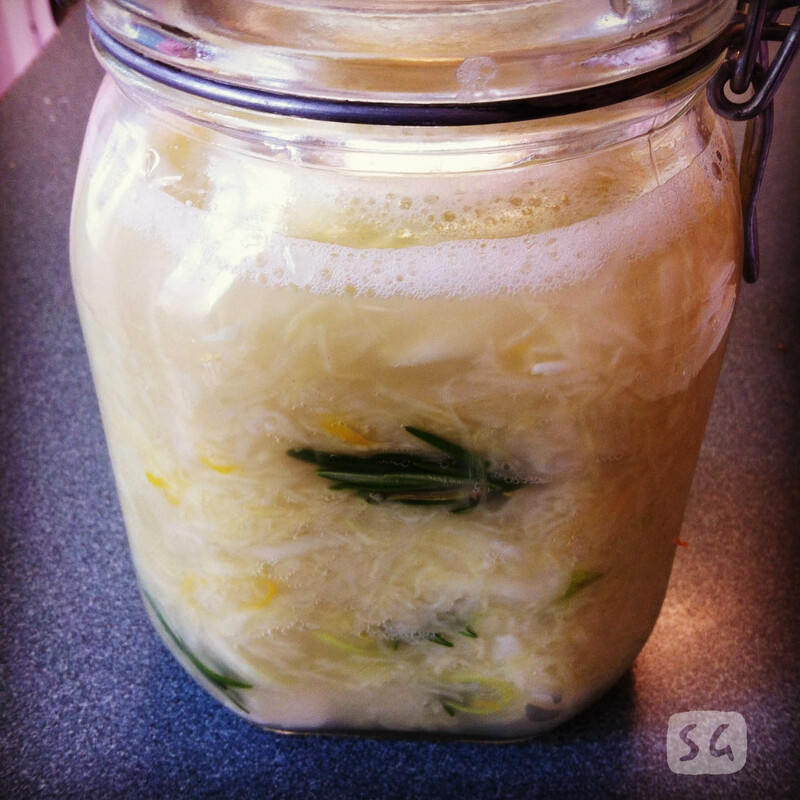 This one is a lemon and rosemary sauerkraut. The juice was good enough to drink already! I was unsure how the acid of the lemon would effect the lactic acid forming of the cabbage, but i saw the recipe, so figured it must work out ok. I'll have to wait and see. It looks beautiful though, with the rosemary sprigs layered and the specks of lemon zest. I also made another batch of the Salvadorian sauerkraut, which has chilli and oregano in it. The oregano is a great addition, i really liked how it turned out last time. 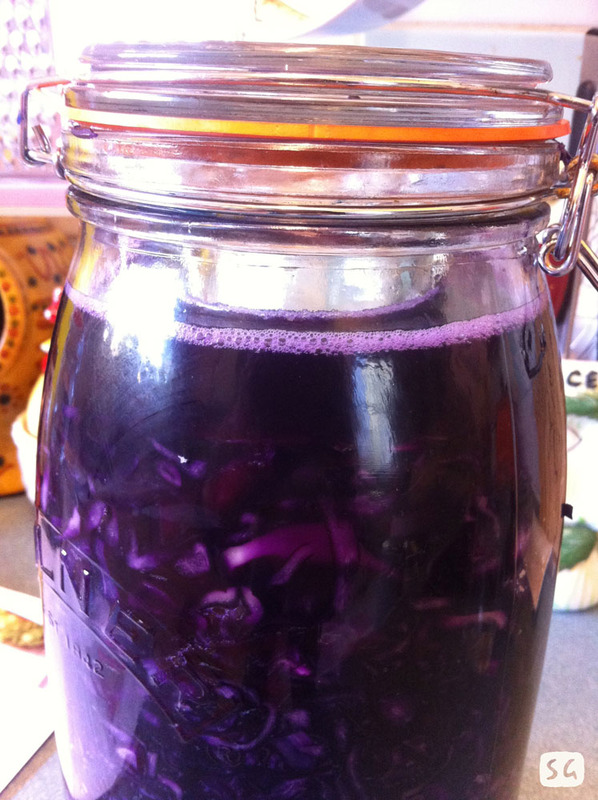 A couple of weeks ago i made a bigger batch of this standard red cabbage kraut. It's still one of my favourites and goes with just about anything... well for me! I made about 3 litres of that one. I think I'm a krautaholic. Yeah, it was tasty Tracey, but i was right about the lemon juice effecting the acidic balance. It went soft pretty quickly. You definitely need to eat this one young! The lemon & rosemary mix is a really nice flavour combo though. 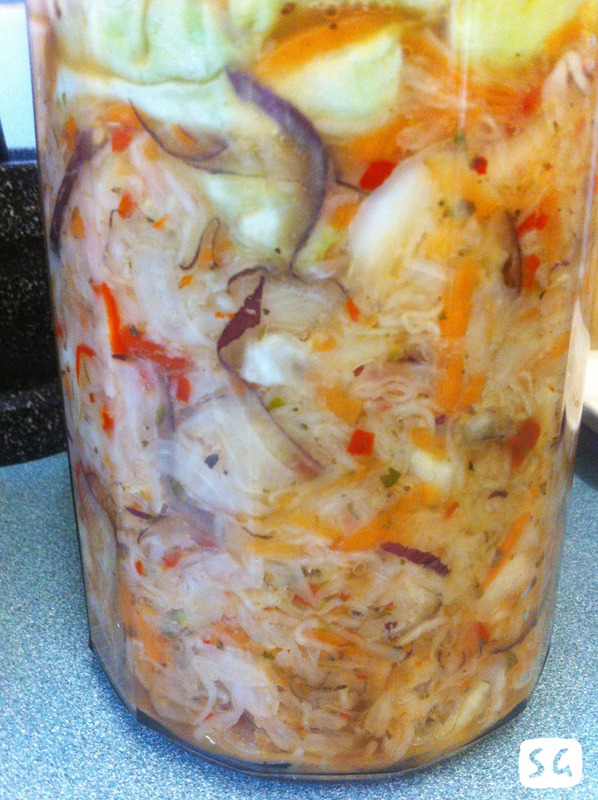 The Salvadorian Kraut is delicious, so i'm going to make that again in a bit more bulk.